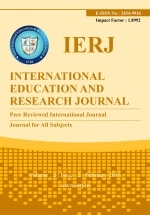 International Education and Research Journal (IERJ) accepts research works from scholars, academicians, professors, doctorates, lecturers, and corporate in their respective expertise of studies. It is an online, open access, double reviewed, Multidisciplinary refereed research journal which is published every 15th day of month . It is a platform for students , researchers, academicians to share knowledge in the form of high quality research work in all subjects viz, Accounting, Advertising, Agriculture, Applied Physics, Applied Science, Architecture, Arts, Astronomy, Biology, Bio-Medical, Biotechnology, Botany, Business Management, Criminology, Chemistry, Commerce, Communication Studies, Computer Science, Corporate Governance, Earth Science, E-commerce, Economics, Education,Engineering, Environmental Science, Finance, Food Science, Fisheries, Fuels Science, Geography, Health Science, Human science, History, Human Resources Management,Humanities, Information Technology, International Business, Journalism, Law, Language, Library Science, Life Science, Literature, Logistics, Management, Microbiology, Marine Science, Marketing, Mathematics, Media Studies, Medical Science, Music, Nanotechnology, Nursing, Pharmaceutical Science, Philosophy, Physical Education, Physics, Political Science, Psychology, Science, Social Science, Sports Science, Sociology, Space Science, Statistics, Urban Studies, Veterinary Science, Zoology, etc. 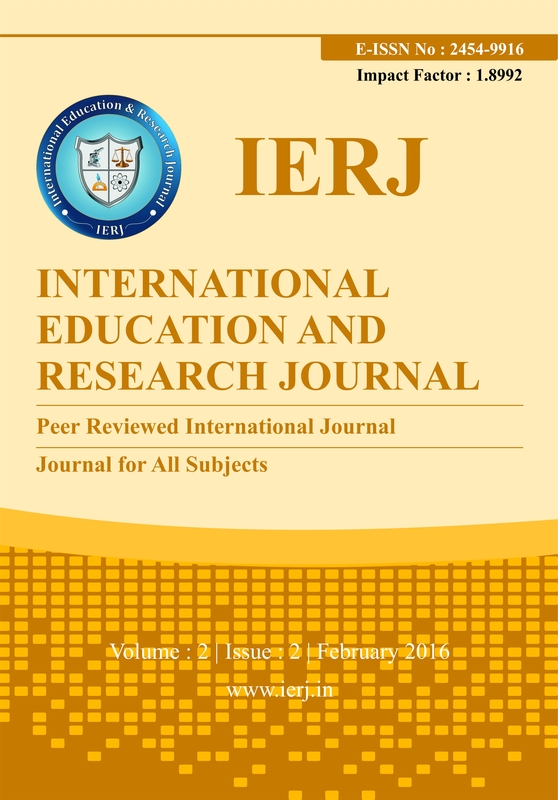 IERJ has a wide network of very good academicians and researchers . Its review process is very strict and the papers not fulfilling the criteria are outright rejected. Referees are constantly working hard to maintain the standards of Journal. Globally a large number of journals are present but we are keeping our promise to strictly adhere to the norms framed and so are vigilant in this process. Google Scholar, Cite Factor, Academic Keys, Internet Archive, ASI, ISI, I2OR, ISSUU, CiteULike, ResearchBib, ICI, ISRA, MIAR, ULRICH'S Periodicals Directory, Academia.edu, iSEEK, SciSeek, WikiCFP, YUDUfree, Open Access Journals, Indian Science.in, Cosmos Foundation, DRJI.